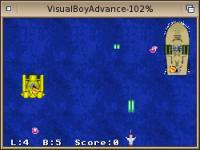 Welcome to version 1.7.2 of VisualBoyAdvance [SDL]. This is a GB/GBC/GBA emulator for Windows, Linux, MacOS X and BeOS. some of the source code will not compile with the shipped header files. You will need to install the most recent Platform SDK from Microsoft. forum on www.ngemu.com message board. Windows: PIII 500Mhz machine for GBA emulation. GB emulation requires far less. developers the full power of GDB to debug GBA applications. to point to the right GDB executable). - TCP: allows debugging through TCP using port 55555 (or any specified) port. probably a restriction imposed by the CYGWIN port of GDB). lot faster than TCP and recommened on Unix systems. 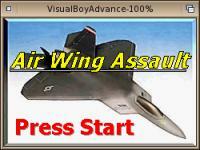 information in the emulator) instead of issuing the load command. While using GDB, any console output (see below) will show up in GDB's console. in GDB again. Pressing ESC will terminate emulation. You can also detach GDB from the emulator. built-in debugger, output will go to standard out. not supported yet. Also, method names may be mangled in C++ code. - radix command: sets the output radix to eithe decimal, octal or hex. GNU package) compiled with --target=arm-thumb-elf (or similar). frequency even if the code is not compiled with call graph support. compiled with -pg, call graphs will be recorded. generating profiling for thumb functions. modifying cc1.exe to fix the problems. ARM_FUNCTION_PROFILER (the recent changes that were performed in CVS). and find the movtip,lr instruction. Change the extra backslash to a space. LP%d and change it to .word .P%d. All options are documented in the file supplied with this distribution. Copyright (c) 1991, 1998 The Regents of the University of California. of the emulator you are writing about and a good description of the problem. 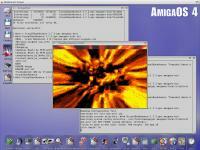 several systems (Windows, Linux, MacOS X and BeOS). PokemonHacker for all his help improving the emulator. Costis for his help fixing some of the graphics bugs. Snes9x developers for the great emulator and source code. Kreed for his great graphic filters. SDL team for this amazing library. And all users who kindly reported problems.